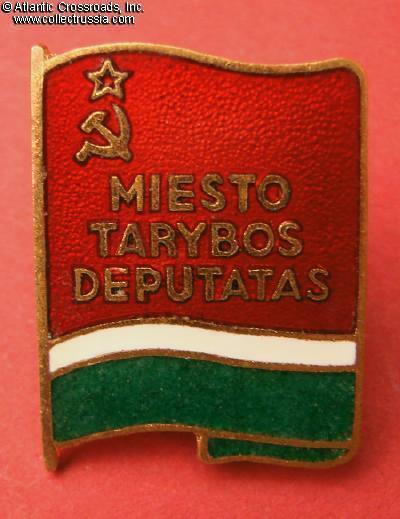 City Soviet membership badge, Lithuanian Soviet Socialist Republic, circa 1960s-70s. 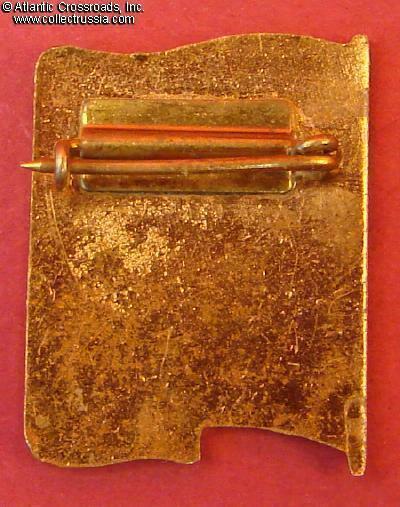 Brass, enamels; 24.3 x 18.3 mm. 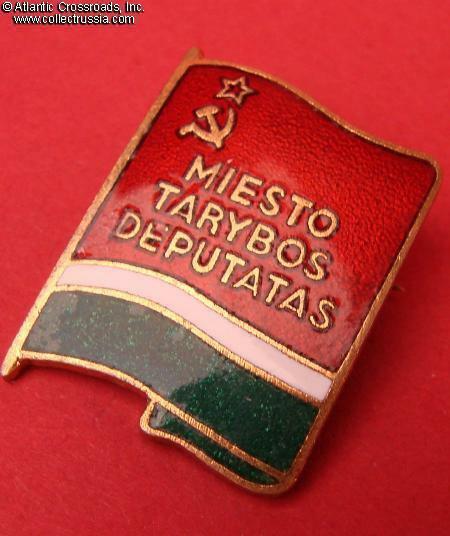 Fine quality badge in excellent condition.